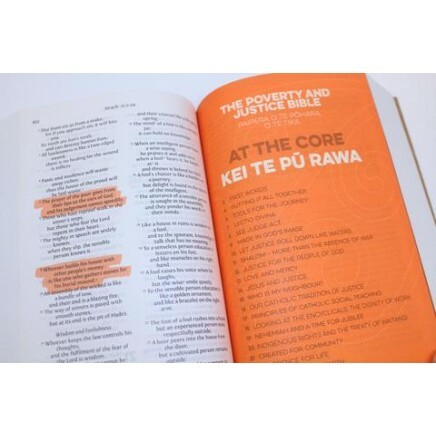 The New Zealand edition of the Poverty and Justice Bible features more than 3,500 highlighted verses showing God's love for the poor and his call for justice. In the centre of the Bible is a special 24 page study section entitled At the core. 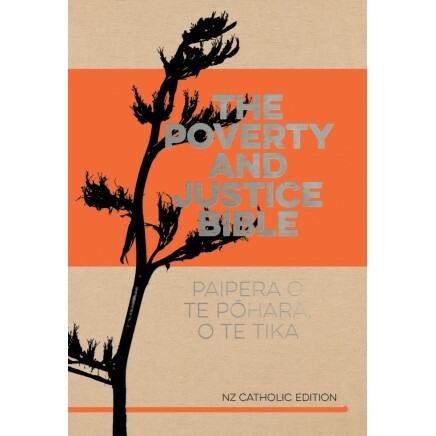 These studies have been developed with The Catholic Institute and are derived from the New Zealand Year 12 Religious Education curriculum and from Caritas resources. The paperback Bible includes the Catholic NRSV translation as well as Prayers and Devotions of the Catholic Faith and a concordance. 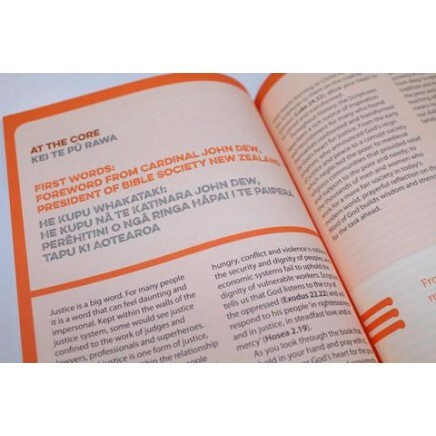 This Bible has been granted the Imprimatur of Cardinal John Dew, President of the New Zealand Catholic Bishops Conference and President of Bible Society New Zealand.